my.trading.space: Check out this book! What makes for a successful investor? And more importantly, what makes for a happy and meaningful life? According to legendary investor Jim Rogers, the road to financial success and the road to happiness are one and the same. In A Gift to My Children, Rogers lays out his advice to young people, from the most financially illiterate to the most investment-savvy, on how to achieve the financial success they need to live their dreams. Rogers co-founded the phenomenally successful Quantum Fund, which in ten years delivered a return of 4200 percent. He retired from Wall Street at the age of thirty-seven, and continued to manage and invest his own funds with great success. 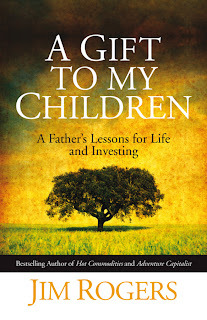 A Gift to My Children marks his effort to share his wisdom and insights about finance, investing, and life in general with his two young children. The first is that you have to see the world up close if you're going to understand how it works. Rogers begins with exhortations to work hard, think critically, trust your own judgment, and work to identify your passions and dreams beyond simply making money. The second is that you must always question conventional wisdom, as many of his most successful investment strategies and ideas have resulted from swimming upstream. Rogers is also a big proponent of the idea that it's essential for young people to study history and to experience world's culture first-hand through travel. Trust your own judgment: Rogers sensed China’s true potential way back in the 1980s, at a time when most analysts were highly skeptical of its prospects for growth. Focus on what you like: Rogers was five when he started collecting empty bottles at baseball games instead of playing. Be persistent: Coming to Yale from rural Alabama, and in over his head, Rogers never stopped studying and wound up with a scholarship to Oxford. See the world: In 1990, Rogers traveled through six continents by motorcycle, gaining a global perspective and learning how to evaluate prospects in rapidly developing countries such as Brazil, Russia, India, and China. The principles of personal success and the philosophy of long-term investment that have served Jim Rogers so well can be followed by anyone with the determination to make it so. 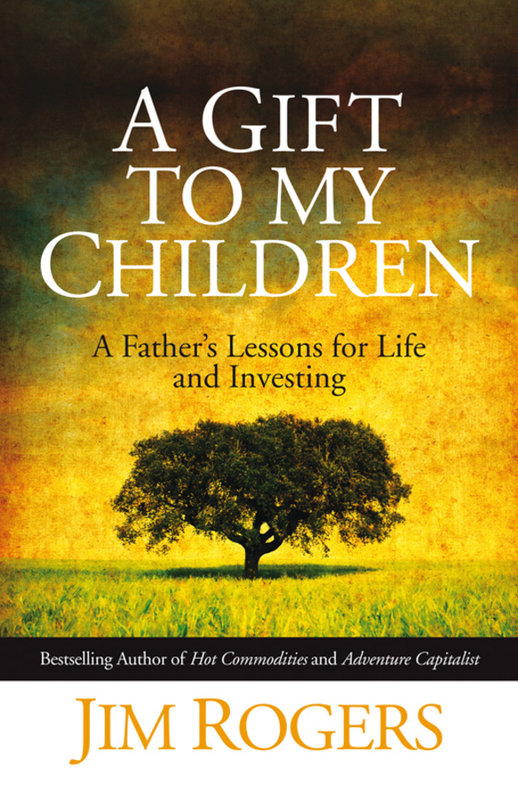 An accessible, entertaining, story-driven guide to a happy and successful life in the style of Hal Urban's Life's Greatest Lessons, A Gift to My Children will have a wide appeal among young people eager to start planning their financial futures. It will also make a great gift book, allowing parents to start a dialogue with their children about the habits that lead to success and a well-lived life, and thereby introducing Jim Rogers to a new generation of readers. I share this book review from NextView official website. Went through the synopsis on Google Books myself & from there I learned to look at the market in a long-term investing approach. Not my first attempt to do that, only that this time round, it's from a seasoned trader's perspective, rather than the usual Warren Buffet value-investing ideology we are all too familiar with. Hope you guys will learn something from the book. Enjoy!